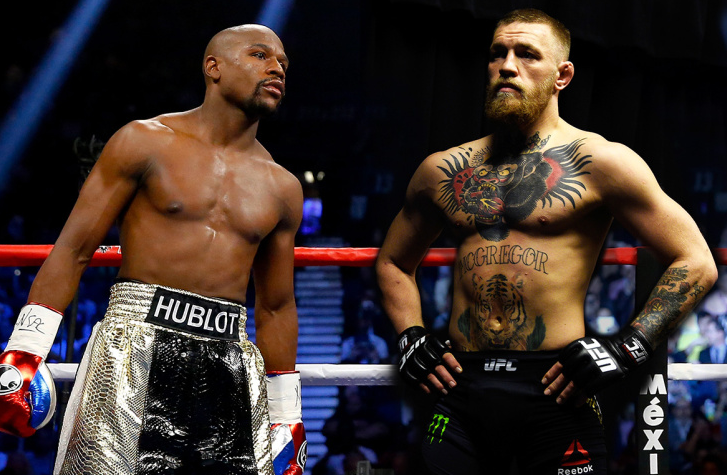 Conor McGregor, the Irish professional mixed martial artist, agreed to all the terms to step into the ring with Floyd Mayweather. Mayweather is an American pro boxer, who competed from 1996 to 2015. He is widely considered one of the greatest in his profession. Dana Frederick White is the President of the mixed martial arts organization, Ultimate Fighting Championship (UFC). He is responsible for bringing the UFC to mainstream attention. White has clearly exhibited his excitement over this development. He is getting closer to brining the greatest match of all time to UFC fans. If it all goes according to plan, then the biggest UFC superstars will get ready to take on one of the biggest names in boxing of all time. The Ultimate Fighting Championship (UFC) is an American mixed martial arts focused company based in Las Vegas, Nevada. UFC is owned and operated by its parent company, William Morris Endeavor Llc., the largest MMA promoter in the world. The UFC produces events all over the world showcasing ten different weight divisions. The company hosted their first event on the 12th of November in 1993. At the beginning the objective of the competition was to identify the most effective style of martial art in combat. However over the years, fighters started adopting techniques from more than one discipline, which indirectly helped create present- day mixed martial arts. UFC received a TV deal in the USA and has also expanded into Europe, Australia, the Middle East, and Asia. The championship fights can now be accessed in 150 countries and 22 different languages around the world. Viewers are able to access live UFC fights as well as repears through a subscription, pay- per- view, or via network television. White, who is a Boston- area native, was at the game to support his home team. Unfortunately for him and the Celtics, things did not turn out as he would have liked them to. The Boston Celtics lost the game to the Cleveland Cavaliers at 104 – 117. Lebron James and his team were able to negotiate the threat quite easily. Reacting to the news of McGregor finally signing on the dotted line, Mayweather confirmed that once all the paperwork has been sorted there will be a fight between the two. White also confirmed that if Mayweather agreed to the terms of the UFC, the actual fight will be a straight up boxing match. Given the format of the fight, many bookies are reluctant to back the underdog – McGregor. The Irish sportsman is a mixed martial arts fighter and he has never taken part in any professional boxing matches in his career. There is little doubt that this will certainly hurt him in the ring. At present, the total action on McGregor seems to be outweighing the bets on Mayweather. This is expected to change once the fight gets finalised. The betting window opened with Money getting odds to the tune of -3000 for the favourite. These however have shrunk at the Westgate SuperBook, odds have been set at -900. This is because bettors are reluctant to tie up large sums of cash on a fight that might drag out for months. The update on McGregor and Mayweather is sure to get Money all pumped up. The 40- year- old is currently enjoying his retirement, having defeated Pacquiao in the last fight. Another stint in the ring will mean coming out of retirement for the third time for Mayweather to fight the UFC star. A victory over McGregor will cap his career at a perfect 50 – 0. Frank III and Lorenzo Fertitta, who are most famous for being the former owners of the UFC, were able to capitalise on the rising popularity of mixed martial arts and sell off the brand. They sold the UFC brand to William Morris Endeavor Llc. for a staggering USD $4 billion last year in July. Now it seems that their attention has turned towards taking care of their mother and her business ventures. Red Rock Resorts Inc. announced this week that they are paying USD $120 million for land that two of their resorts stand on. This land is owned by a trust that is controlled by Victoria Fertitta, who is mother to the two Fertitta brothers. A subsidiary of Station Casinos, Red Rock, has also been reported to be buying 75 acres of land from underneath the two casinos. The land had been under the ownership of Victoria Fertitta and her late husband Frank II since 1997. The last 20 years has seen Red Rock lease the property from the family trust. Selling the land will give a massive boost to Victoria’s bank account and will free the resorts from having to rent the land. The shareholders of Red Rock were less enthusiastic about the deal and felt that the price was exuberant. Davis Baron from Baron Capital commented on the sale. Baron’s firm is one of Red Rock’s largest shareholders. Victoria Fertitta had been getting USD $7 million in rent annually from Red Rock till now. At USD $120 million, the Fertittas’ investment won’t pay dividends for over 17 years, or until 2034.